I came across a weird annoying bug/behavior while browsing the web and saving stuff (images, files, etc.). 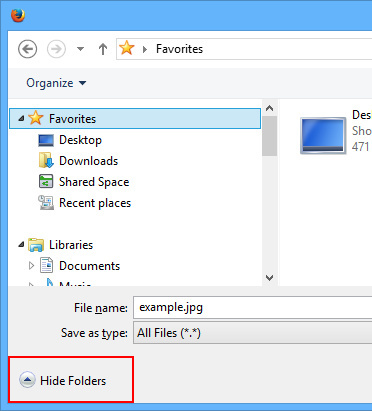 Then simply resize the window with your mouse as usual! Checksum, MD5, SHA-1, SHA-256… What’s all this? Checksum, MD5, SHA-1, SHA-256, etc. all mean the same thing: a way to verify the integrity of data, file or software. You download a software from a mirror server and you want to verify if the file you have is genuine. You navigate to the author’s website and see a checksum code: you then verify the file you have with that code. If they match, you know you’ve got genuine file! For those who simply want a simple MD5 generator/verification, I packaged one along with an icon. See references below. I recently substituted my simple md5 app with File Checksum because it also includes SHA-1 and SHA-256. Note that it’s standalone and requires no installation to run. Since we’ve just discuss how checksum works, you might want to verify the integrity of File Checksum itself before using it. Here’s a very simply way to find the version of Windows when you can’t run said operating system. Typical scenario is a hard drive with Windows installed on it and you need to know which version is installed for troubleshooting purposes, repair, etc. 1. Access the hard drive. You can plug it internally or via USB with the appropriate adapter, use a Live CD, etc. 3. Find the ntdll.dll file and right-click it. Remember you can save this page in .mht format to future proof this information’s accessibility.